As the industry's leading laser-assisted lipolysis system designed to disrupt fat cells and tighten tissue*, Smartlipo is an ideal adjunct to liposuction for treating localized fat deposits on the face and body. 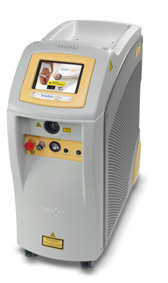 In addition, Smartlipo is a minimally invasive technique that safely coagulates blood vesels resulting in less bleeding and bruising than liposuction alone. Smartlipo is the #1 requested cosmetic procedure** making Smartlipo the undisputed leader in laser-assisted lipolysis. Faster healing times. Compared to regular liposuction. Less trauma. Compared to regular liposuction. Treat highly fibrotic areas. Individual results may vary, consult your doctor to make sure you are a good candidate for this treatment.